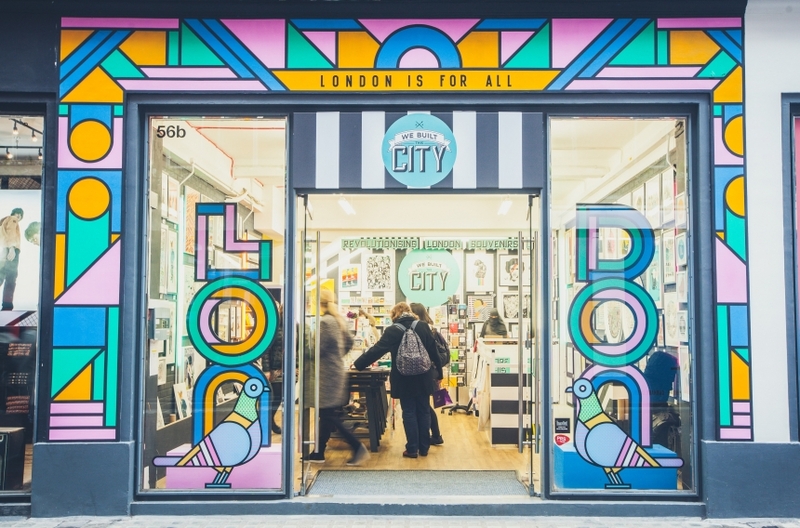 The much-loved, artist-led souvenir store We Built This City has called upon the excellent talents of Supermundane to design its storefront and window display on Carnaby Street. 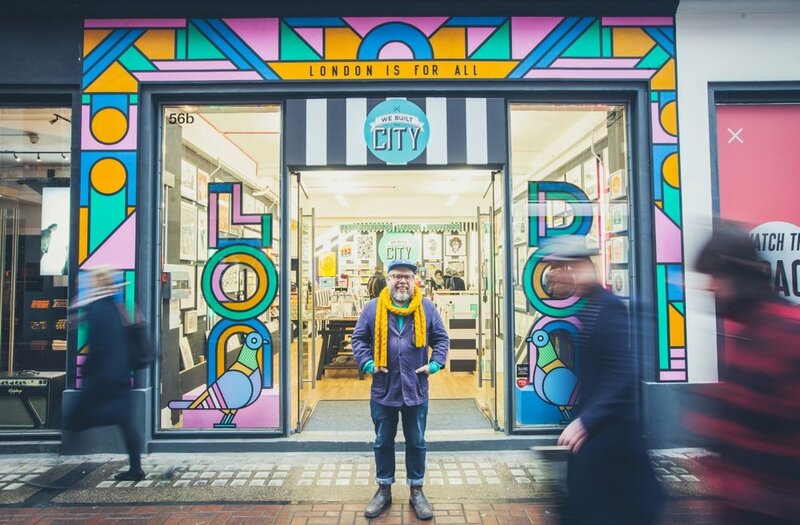 "I've lived in London for 20 years now and have always loved Soho, so I'm excited to have my work featured on Carnaby Street," said Rob Lowe. "My installation is all tied together by a phrase which sums up how I feel about this city, and what it means to me. I've always felt that everyone is welcome here – even the pigeons – and that is something to be celebrated." 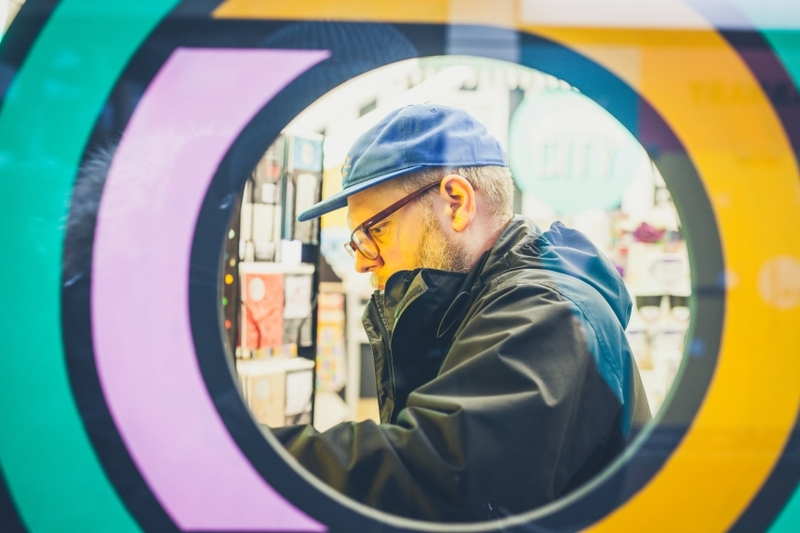 We Built This City have also commissioned Rob to produce an exclusive range of souvenirs that include a magnet, badge, postcard and art print; available for a limited period.